Side effects: Occasional indigestion, nausea, vomiting, constipation and diarrhea. Qualitative immunohistochemical assay using rabbit monoclonal anti-PD-L1 clone SP142 intended for use in the assessment of the PDL1 protein in formalin-fixed, paraffin-embedded (FFPE) urothelial carcinoma tissue stained with OptiView DAB IHC Detection Kit and OptiView Amplifcation Kit on a VENTANA BenchMark ULTRA instrument. PD-L1 status is determined by the proportion of tumor area occupied by PD-L1 expressing tumor-infiltrating immune cells (% IC) of any intensity. 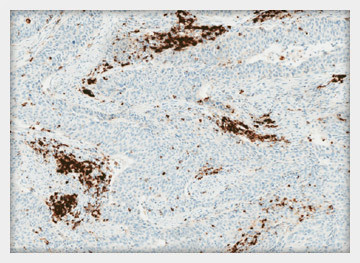 PD-L1 expression in ≥ 5% IC determined by VENTANA PD-L1 (SP142) Assay in urothelial carcinoma tissue is associated with increased objective response rate (ORR) in a non-randomized study of TECENTRIQ™ (atezolizumab). 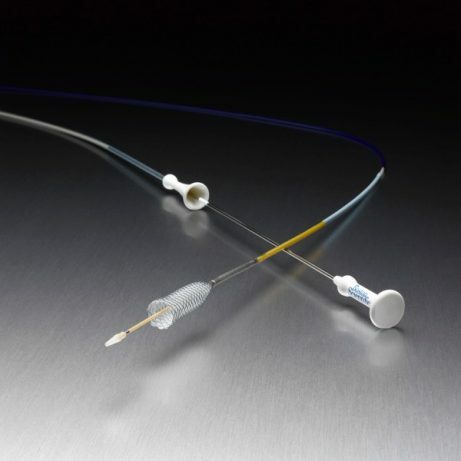 DEVICE GENERIC DESCRIPTION: Metallic Biliary Stent System for Benign Strictures: Prescription device intended for the treatment of benign biliary strictures. The biliary stents are intended to be left indwelling for a limited amount of time and subsequently removed. The device consists of a metallic stent and a delivery system intended to place the stent in the bile duct. This device type is not intended for use in the vasculature.